San Diego, Calif. – Oct. 19, 2017 – The National Sports Forum (NSF) announced today a renewed three-year partnership with Daktronics (NASDAQ-DAKT) of Brookings, South Dakota, as an official sponsor of the National Sports Forum through 2020. This renewed partnership will mark more than 10 years of Daktronics and the NSF working together to bring innovation to the sports industry. As an official sponsor, Daktronics is designated as the host of the NSF’s Sunday Welcome Reception, which will be hosted this year by FC Dallas at Toyota Stadium on February 11th, 2018. In addition, Daktronics will be helping to power the NSF’s Monthly E-Newsletter. Each month, the “Daktronics Corner” will showcase some of the innovative work Daktronics is doing across the sports and entertainment industry, including the revolutionary “Halo Board” at Mercedes-Benz Stadium in Atlanta. Daktronics will also be the presenting sponsor of two of the upcoming NSF “Meet-Ups” in Los Angeles on November 2nd and Washington D.C. on November 16th. The National Sports Forum is the largest annual cross gathering of the top team sports marketing, sales, promotions and event entertainment executives – from throughout the broad spectrum of teams and leagues, (i.e. NFL, MLB, NBA, NHL, Minor Leagues, Racing, Colleges, etc. ), in North America. 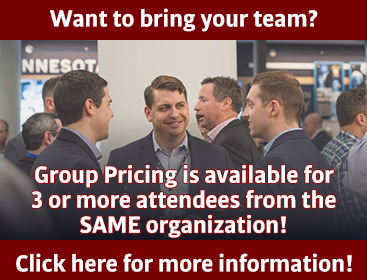 The Forum meets each year for three days of networking, idea sharing and listening to the industry’s top spokespeople, through numerous breakout sessions, panel discussions, networking events and keynote speeches. The National Sports Forum is overseen by a diverse Steering Committee of team, league, and industry leaders – peers that share a universal interest in meeting and learning from one another. The 23rd Annual National Sports Forum conference will be held February 11-13, 2018 in Frisco, TX.